Mastering the art of a great Gin and Tonic is something Adam and I have been working on for some time. We’ve tested out different types of sparkling water, gins, fruit combos and more and I have to say – I think we’ve finally settled on our favourite. 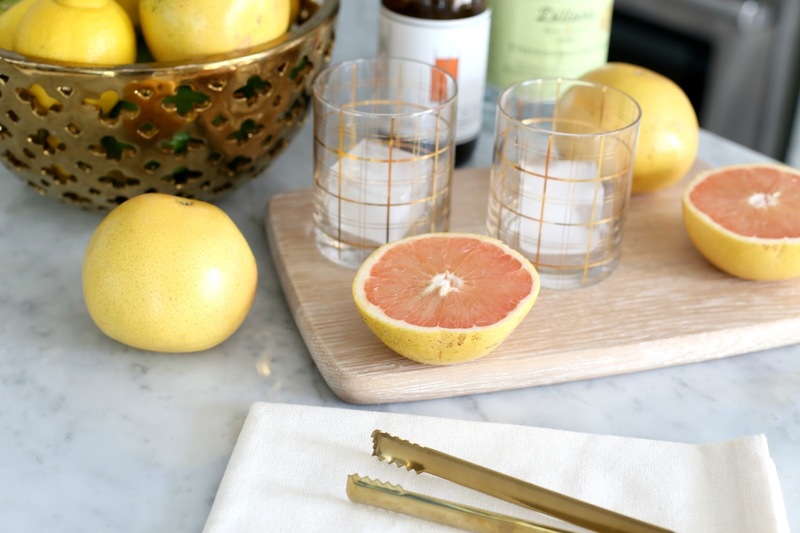 Of course – any great drink must be served in equally appropriate bar ware. 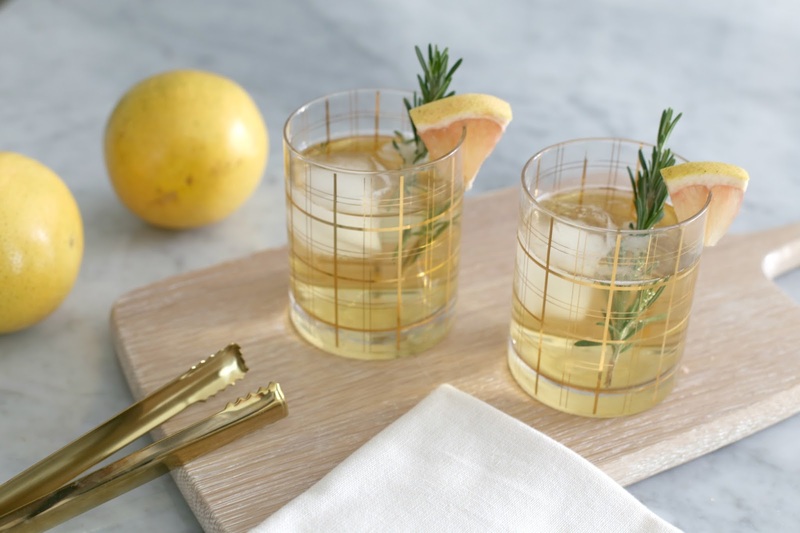 We’re thrilled to be sharing our cocktail recipe today with Pier 1 Imports to celebrate the launch of their new store in Etobicoke, near Sherway Gardens. 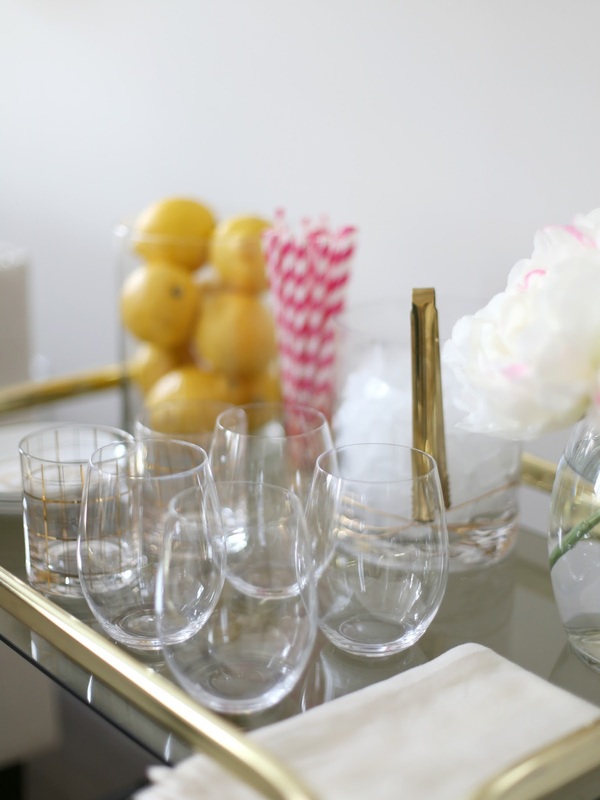 I’m always re-arranging my bar cart depending on the time year or the occasion and their selection of bar accessories, drink ware and napkins was the just the pick-me-up I needed as we transition into spring. My intent was solely to grab some bar cart accessories but as you can see, it was a tad difficult staying on task with their new collection ;) Not to mention - a lot of the items I had grabbed were on sale - WOO! From faux-peonies (OBSESSED), to tufted benches and Lucite lamps, this is any décor-obsessed gal’s dream. You must check it out! If you follow along instagram, you'll see I grabbed an armful of these peonies on the weekend and trying to tell them apart from the real thing is near impossible! 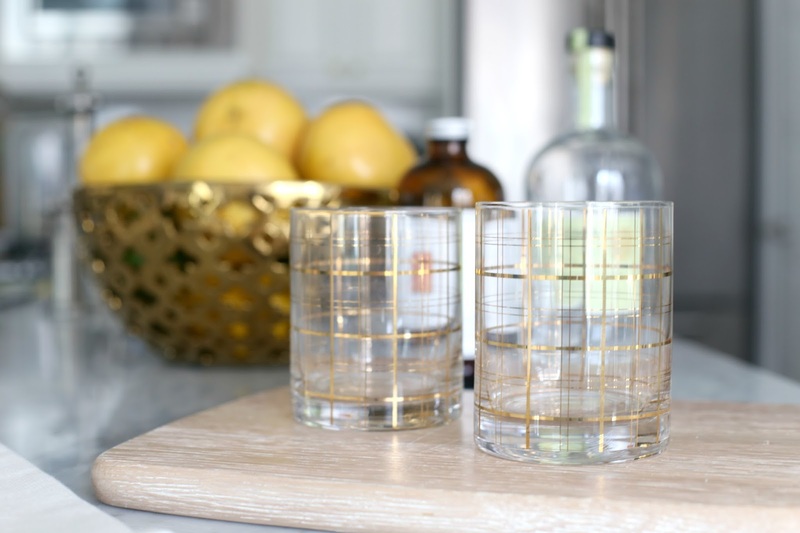 I'm still a sucker for stemless barware! Excited to spruce the house up with some faux-flowers! 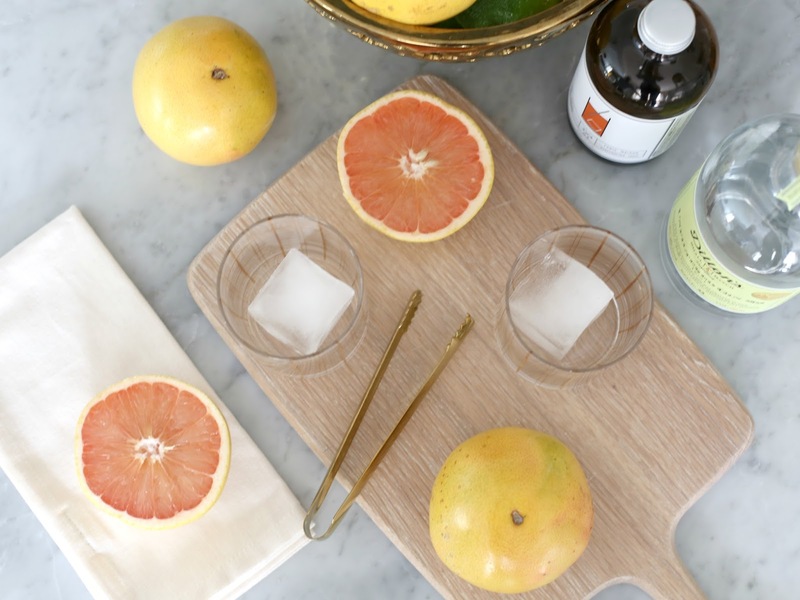 Mix Tonic, Gin and Sparkling Water in advance with grapefruit wedges. Let the mixture macerate for a few minutes before serving. 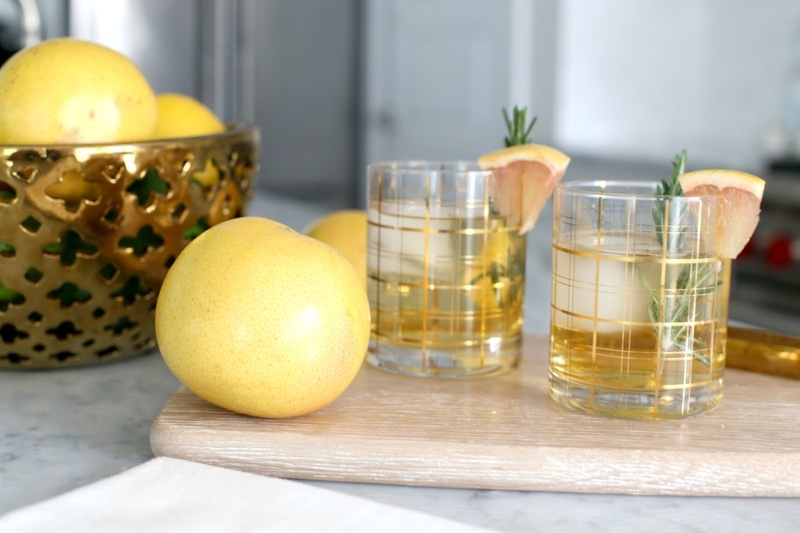 Pour over ice cube and add Rosemary sprig and an additional grapefruit wedge to garnish. You'll have to let me know what you think about the recipe! Looking to recreate something similar? Be sure to visit Pier 1 Imports website to find a store near you ;) Be sure to head to instagram today for a fun contest where you can score 1 of 3 $50 gift cards! Love all the pics!! And those gold crown plates and peonies are perfect!! I love this post! Let's get together for a drink soon! That drink literally looks amazing!! (Is it bad that it's not even 10am and I want to try it? haha) Great styling! 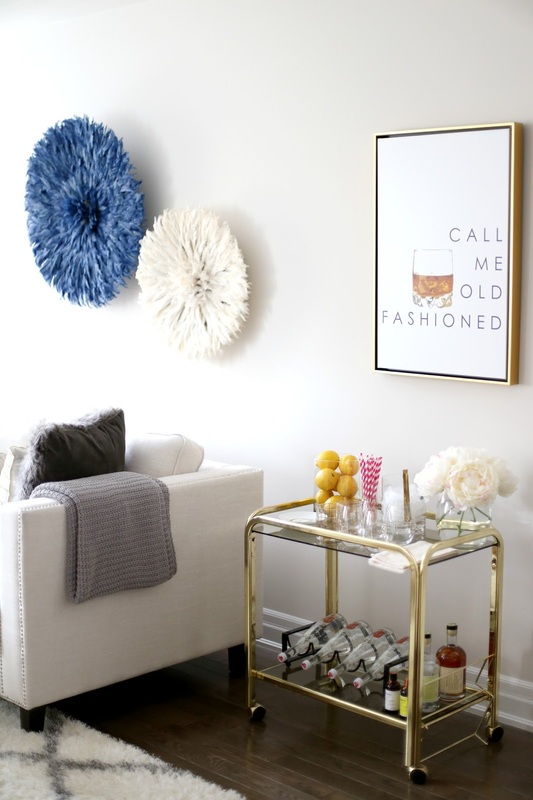 This is great because I was just saying to my husband that we need to restyle our bar cart! It just looks too cluttered right now! 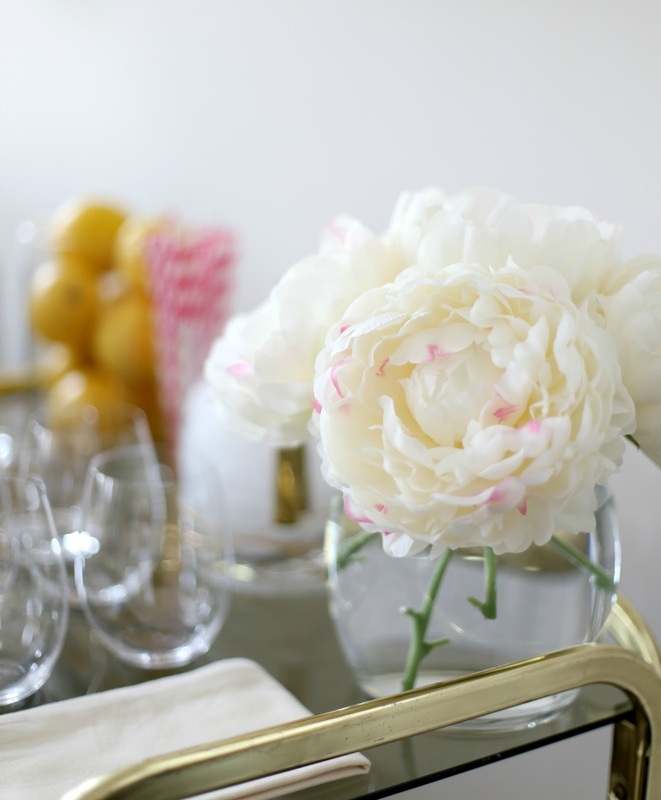 I am in love with those peonies! 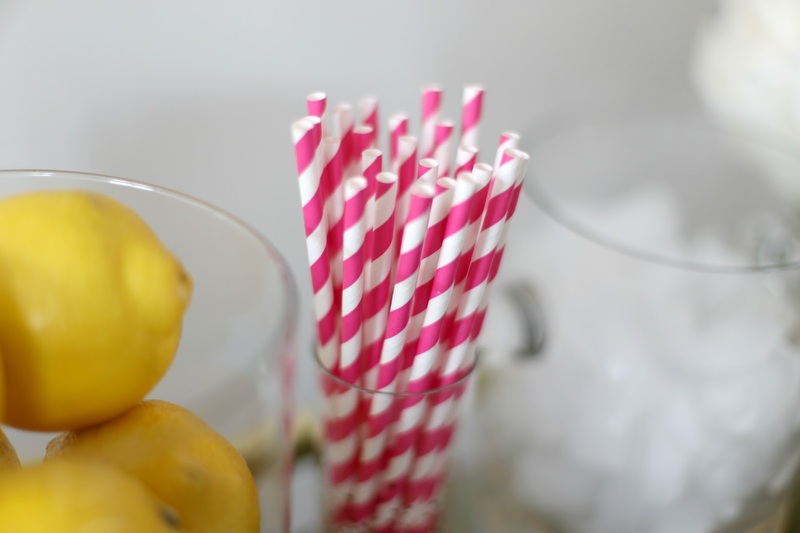 Did you use just the single stems for the vase? I love how it looks and would love to replicate in my own home! Hey Jamie :) Yes - these are 4 single stems and we just cut them down to fit the vase. Totally recommend! 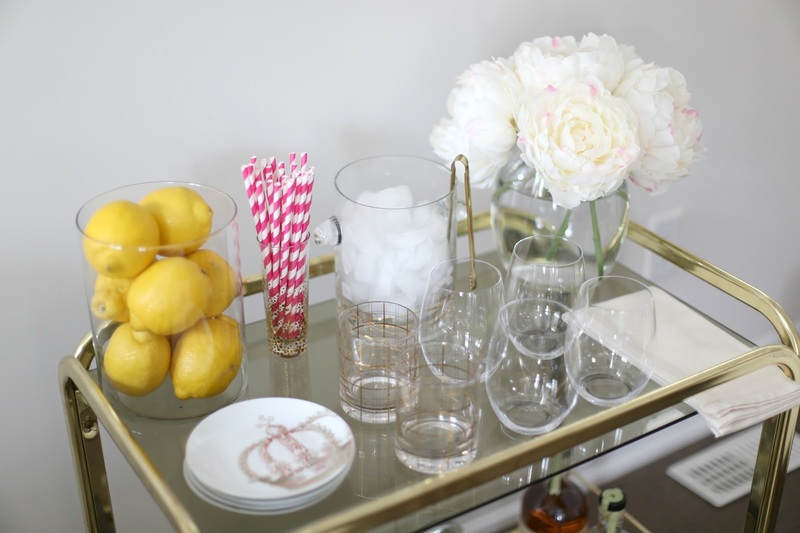 Bar carts are my new obsession! Always looking for new ideas to spruce mine up! Thanks!